Röchling Industrial is your competent partner for the cutting of semi-finished products. 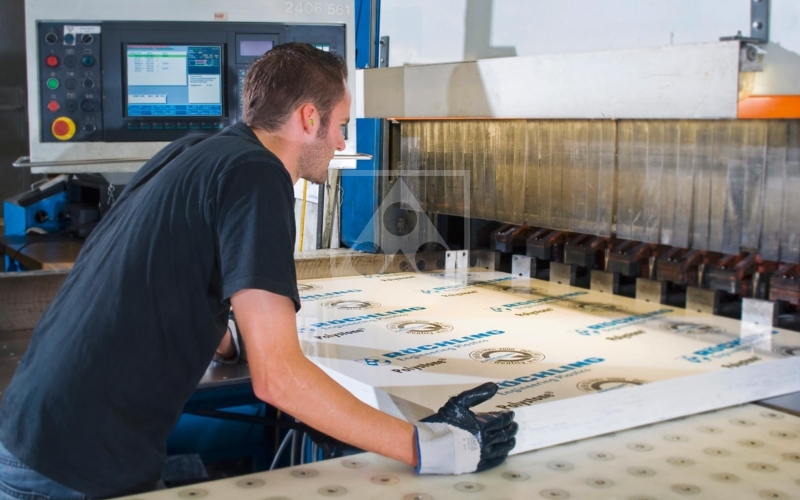 The products are scaled to your specifications with powerful machines.As part of our extensive service concept, we offer you various cutting and processing options. In accordance with your requirements, products are delivered to you sawn, planed, or buffed. As an additional option, they can also be directly pre-lathed, pre-drilled, or pre-milled. Via a powerful pool of machines, even large-dimension semi-finished products and finished parts can be processed precisely. Our machine pool is constantly expanded in order to become even more productive and faster. This is how the Industrial Division is responding to rapidly growing demand. Both surface treatment and format corrections are performed to your specifications with millimeter precision. Please provide your required measurements and tolerances. Film and calendared sheets can also be custom cut to the length and width that you specify. Please make sure to pay attention to the machining guidelines for all cut types.